I have finally made the decision to go experimental. I was down at the local Flight Standards Office (FSO) the other day on some work related stuff, and asked our Principal Maintenance Inspector (PMI) to look into what it would take to go experimental. He got back to me today, and said that it should not be extremely difficult. We talked about changing placards from light sport to experimental, operating limitations, and several other things. He is going to get me a full summary in an email in the next couple of days. He was saying the local FSO has not really done much with LSAs (apparently, they are not super popular around here), so it will be a good experience for them as well. Anyway, I would like to get suggestions from anyone who has gone E-LSA. I have seen some posts about getting records from Oklahoma City and some other things I can't remember right off hand (I will pull all of the stuff I can from previous posts). Additionally, if anyone is interested, I would be willing to "document" what I can about the process. I haven't talked to the PMI yet, but I don't know that I will be using a DAR for this. It will probably take a little longer, but I am not in any huge rush. My biggest concern is getting the operation limitations in the right format. Any suggestions? Let me know if anyone wants this process to be documented, and I will do the best I can to document the process on here. I would love to learn about this so if you are willing to document the process and share it, it would be greatly appreciated! Thank you! Remember to take a close look at your new operating limitations. There is usually a sentence that says you must comply will all Mfg's time limited parts replacement. Maybe you should ask the examiner about this. That means rubber replacement or any other item that Rotax or FD has as a time limited part. You don't get to choose whether to comply or not. This would probably mean TBO to. We just went through the process at Ankeny, IA. Pretty simple really, and our mechanic did most of the heavy lifting. You can download the FAA form 8130-6 online, must have had a fairly recent airworthiness certification that your mechanic will certify (100hr or annual), and he dove through all the logs to insure all AD's have been complied with and furnished the current list. we were asked to create two documents signed by all owners (in our case three); one which certified we all agreed to conversion to Experimental, and the other was a brief testament (maintenance addendum) as to how we would maintain the aircraft regarding the Rotax 'timed life' engine items (mainly rubber) through inspection. It probably would be wise to schedule conversion prior to your 5-year rubber change out, as our FAA inspector bent over backwards to complete ours on the coldest day of the year in an unheated hangar one day prior to when our next one was due. It's a huge relief for us, as we're within a few hundred hours of TBO, and despite all the rhetoric about how 'it's not really mandatory' now we don't have to worry about any enforcement litigation or insurance company excuses in case of accident or incident. Also they advised the process can be reversed, should the owner(s) wish that in the future. And this is exactly why everyone should talk to the examiner and read their new paperwork. There is no US wide standard and different examiners write different things. Also they advised the process can be reversed, should the owner(s) wish that in the future. While technically that is true, in reality it'll never happen. The factory would have to agree to "accept" the airplane back into SLSA status, and no factory is likely to ever do that due to liability concerns. Once it's ELSA, you should consider it a permanent change. Thanks everyone and sorry for going NORDO, been a busy work week. Still waiting to hear something from the PMI. Once I do, I will update on the status. I got a response from my PMI today to "officially" start the process. Step 1 is pretty easy. It starts with filling out FAA Form 8130-6, Application for U.S. Airworthiness Certificate. Under section 1, fill out the aircraft information. Under Section 2 Certification Requested, mark Experimental, mark Operating Light Sport, "Operating light-sport previously issued special light-sport category airworthiness certificate under § 21.190" (if applicable). Under Section 3, Owner Information, fill out name and address of the registered owner, and then AIRCRAFT OPERATION AND MAINTENANCE RECORDS, and then sign under part D of that section. Nothing in Sections 4-8 needs to be filled out at this time. To sum it up, Sections 1-3 need to be filled out as necessary. The next steps will include inspection of paperwork, possibly an aircraft inspection by the FSO, and going through operating limitations. I will probably eventually edit my first post with some step by step and helpful information once the process is completed. 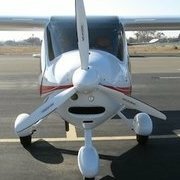 The FAA is also going to want to see much of the original certification documentation, so I have also gone ahead and requested a copy of all the records for my aircraft from the FAA aircraft certification branch (costs $10 if you get a CD rather than have them mail it, which costs 10 cents per page). Thanks for the help from everyone so far. The attached is what our local FSDO PMI (who has conducted four of these conversions) has come up with: consisting of an "addendum to maintenance requirements, " and "Owner(s) authorization" for recertification. As ours is owned by three members, there are required signature blocks for each member/owner.